There's no better way to dissect the how-tos of branding than to dig deep into the companies everybody knows and trusts. To accomplish this, Entrepreneur teamed with The Values Institute at DGWB, a Santa Ana, Calif.-based think tank that focuses on brand relationships, on a consumer survey that explored the reasons some brands manage to stay on top. What became clear: Though they may not have the biggest sales or market share in their categories, today's most trustworthy brands have created relationships with consumers through experiences that trigger a visceral response. "We're seeing more of an emphasis on brands building emotional relationships with consumers because it's powerful and it works," says branding consultant Jim Stengel, former global marketing officer of Procter & Gamble and author of Grow: How Ideals Power Growth and Profit at the World's Greatest Companies. "When you do it, you have a much stronger affinity, a much stronger business, much stronger growth and much stronger results. "When we looked at brands [at P&G] that had a very, very strong emotional benefit vs. our competition," Stengel adds, "our shares were much, much higher. And the margin of growth vs. our competitor was much higher than those that had just a functional superiority." Here, a look at the tactics used by America's most trustworthy brands to connect with consumers--and ways you can put them to work for your business. The online retailer of, well, just about everything, ran away with the list, posting the highest scores not just in overall brand trust but in every individual trust value. That's no surprise to Brad VanAuken, chief brand strategist for The Blake Project consultancy. He says Amazon's exceptional product accessibility, functionality and customer experience all converge to create a strong brand that consumers trust. "With millions of products, 24/7 access, superior search and browse technology, user reviews and many other sources of in-depth product information, Amazon.com offers a superior purchase experience," VanAuken says. He adds that the brand--with its low prices and free shipping on orders over a minimum total--is seen as offering value, while its one-click ordering and quick-shipping options help shoppers save time. Consumers also rely on Amazon to have all the products they're looking for, thanks to partnerships with other selling channels such as Partner Count merchandise. While such a vast array of offerings could be perceived as impersonal, VanAuken says Amazon does an exemplary job of fostering relationships with consumers by helping them make decisions through recommendations of items based on past purchases, user reviews and ratings and suggested complementary purchases. Consumers also have many options for forging a personal bond with the brand, including user profiles, reviews and ratings, wish lists and Listmania lists for recommending favorite products. Ice-cold Sunshine. The Pause That Refreshes. Life Tastes Good. Since its inception, the promise of the world's largest beverage-maker has been to delight consumers. "Everything they do is inspired by this idea of, How do we promote, develop and create happiness?" author Stengel says. Coca-Cola pushes this message across all points of customer contact, from Facebook to its custom vending machines, which allow consumers to concoct their favorite combinations of flavors. "They take the ideas of spontaneity and delight and infuse [them] into everything," Stengel says. Putting aside the '80s branding debacle that was New Coke, Stengel adds that the company backs up its focus on happiness with a consistently strong corporate identity based on longevity and heritage. "They have a deep and healthy respect for their past and for the people who have gone before them," he says. "They never forget why they started and where they came from, which means a lot to consumers." That trust is evident among respondents to our survey, who did not give Coca-Cola a single negative remark. With a straightforward passion for the task at hand, FedEx has created a strong corporate identity. Not surprisingly, the company received its strongest ratings in ability, specifically for being able to achieve what it promises and for the efficiency of its operations. In addition to providing what is seen as a reliable service, the brand has engendered trust through initiatives such as its "We Understand" campaign, says Kari Blanchard, senior director of strategy in the New York office of FutureBrand. "They've elevated the brand by recognizing that it's not just about the logistics of moving packages and boxes," Blanchard says. "They appreciate that it's people's treasures, livelihoods and futures, and that the contents of those packages mean a lot to people." To further deliver that message, FedEx engages with consumers through its personalized rewards program and by interacting on social media channels. "When you've already nailed attributes like trustworthiness and reliability--things that are essential to the business but don't exactly make you fall in love with a brand--that's where thinking of your customer as a person and not just a number becomes crucial," Blanchard says. Apple uses its retail outlets to show, not tell, consumers its brand philosophy. What other company has the public and the press waiting breathlessly for each new product release? The bottom line is whatever that new Apple product is, consumers trust that it will be smart and sleek and that it will improve the way they communicate, work or spend their leisure time. What's more, they'll enjoy the experience of making the purchase. While Apple has always been about creativity and expression, the brand has kicked up the emotional quotient by creating retail stores that foster a sense of collaboration and transparency between customers and sales staff. "They hire empathetic people, and they don't measure their sales associates on sales," Stengel says. He calls Apple's approach to its stores "the best retail endeavor in history. They really want people to come in and be inspired, build confidence and really feel better about themselves from the experience they had in the store." Apple uses its retail outlets to show, not tell, consumers its brand philosophy, from the large tables, open spaces and walls of windows to its well-trained associates (Apple's biggest brand advocates), who are armed with handheld checkout scanners that enable shoppers to make purchases without having to stand in line. Some sour bits: The brand got lower than average scores for a sense of connection to Apple's corporate side, as well as for the perception that the company doesn't value customers' business or reward them for their loyalty. Those sentiments may simply be the result of Apple focusing on its core functions. 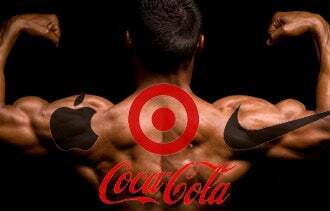 "Steve Jobs just thought about what was right for the brand and the consumer," Stengel says. "That focus is part of the reason they've done such a good job of creating new categories and products that continue to distance themselves from their competitors." It's easy to forget that Target is a discount store. With its sleek, stylish ad campaigns and collaborations with high-end designers who create limited-edition merchandise that sends fashionistas into a frenzy, Target's public face often belies its mass-merchant status. Further distinguishing it from its superstore brethren, Target consistently delivers an exceptional retail experience--from store design to merchandise selection to price and customer service. "Target makes a real effort to provide an enjoyable shopper experience, but you still get quality merchandise at a good price," says branding consultant Rob Frankel. "As part of their brand persona, they make an effort to be warm and human, and that resonates with people and drives them to embrace it." Thanks to easy-to-maneuver layouts and a consistent design, Target's retail outlets are easy and intuitive places to shop, giving customers confidence they will be able to find what they want, even on a vast selling floor. "It's not only more pleasant than their competitors; people actually enjoy being there," Frankel says. Target customers also appreciate the brand's ability to design attractive yet affordable merchandise--most notably, an ever-changing array of trendy clothing and home accessories. "Target says [it's] going to give you a decent alternative that can hold up against more expensive fashion brands," Frankel says. Customer service is friendly and consistent, as several survey respondents noted, from the way "cashiers look for people in line and direct them to a less crowded line," to the perceptions that "they always have enough employees in the store at one time" and that "their customers are considered guests." Frankel says businesses should recognize that providing a warm, human experience will foster the kind of trust that lets them command higher margins, drive traffic and enjoy better brand perception than their competitors. "No matter what you sell, if you don't give people a reason to go, they're not going to figure it out by themselves, because price alone just doesn't do it," he says. "Once you have developed a unique and compelling value proposition for your brand, repeat it again and again." In an era when the only thing that seems certain is change, Ford's consistent branding has established the company as a beacon of reliability. The Blake Project's VanAuken points out that from its simple, one-syllable name to its iconic logo and emphasis on founding father Henry Ford, the company's brand identity stands the test of time. "Everyone knows and admires the Ford story," he says. "Of the three Detroit-based automakers, Ford has the most consistent brand, product strategy and execution." Ford also listens to and acts on its customers' needs, VanAuken adds, noting that CEO Alan Mulally is actively involved in interacting with customers through social media. Those attributes forge a strong connection: The brand ranked high for stability and dependability, and respondents gave it the strongest average ratings for concern, specifically for behaving responsibly and caring about the well-being of employees and customers. Several respondents cited Ford's refusal to take government bailout money as evidence of the company's integrity. VanAuken emphasizes that consistency needs to reach all corners of any business. "Changing the logo, tag line and messaging on a frequent basis will ensure that nothing about your brand sticks in your intended customers' heads," he says. "Once you have developed a unique and compelling value proposition for your brand, repeat it again and again." On its website, Nike declares its mission to "bring inspiration and innovation to every athlete in the world," adding, "If you have a body, you are an athlete." It's that aspirational message and mainstream appeal that connects the athletic apparel company to consumers worldwide, according to branding consultant Kevin Lane Keller, professor of marketing at the Tuck School of Business at Dartmouth College. "Nike's always been extremely customer-focused, with a broad access point that makes the brand relevant to elite athletes as well as the everyday person," Keller says. "It's about self-empowerment and being your best, and the brand really does invite everyone to 'Just Do It.'" Nike's constant product development, including introducing technologies such as Nike Air cushioning and Dri-Fit fabrics, is one of its biggest strengths, according to Keller, who says that consumers tend to equate innovation with expertise. "When you're innovative, consumers are more trusting, because they think you really know what you're doing," he says. "Nike's first product was just the first step on this journey that's allowed them to completely transcend their roots as a quality running shoe to be everything athletic, all over the world, in all kinds of sports." Keller says Nike gains trust points because celebrated co-founder Phil Knight is still involved with operations, a fact noted by one survey respondent who claimed to be "confident that [Knight's] company would always behave responsibly." Notes Keller, "When the founder is still there, people respect the brand in a way that doesn't happen when the reins have been handed down over and over. Having his voice and persona still associated with the company keeps it closely connected to the consumer." Creating connections through coffee: A Washington, D.C., Starbucks. After suffering a slump a few years back, the world's leading specialty coffee retailer has perked up its business and its brand by getting back to its original promise of bringing people together. "Starbucks has gotten much more in touch with the reason they're here, and that's to help create connections," author Stengel says. From the free Wi-Fi to the in-store music to the large tables with room for groups and meetings, the company's stores are designed to help customers interact. "Go into any Starbucks, and business is happening and people are sharing, and the company understands that," Stengel says. "Everything in there is about connection, discovery, inspiration and creation." Startups would do well to note the company's innovative approach, which has enabled it to set the agenda in a category that has been around for centuries. "They carved out this dynamic niche with their brand and became very successful, and there's still nobody else like them," Stengel says. The key, he says, is to thoroughly understand category norms and competitors' strategies, and determine how to direct those toward your advantage. "If you're an entrepreneur entering a category, maybe you can't set the agenda, but if you can redirect that agenda, that's how you win," he says. "If you're going to enter a category and be a 'me too,' don't bother." Although its operations and corporate culture are idiosyncratic, those differences support Southwest's central function. This low-cost carrier has consistently set its own route in the airline industry, creating a distinct personality through everything from open passenger seating to flight attendants who sing the safety demonstrations. "Southwest has always been a very independent brand that's quick to break the norms of the airline industry," says Tim Calkins, clinical professor of marketing at Northwestern University's Kellogg School of Management. "From the seating assignments to the fact that it doesn't list in many of the big online reservation systems, it has always prided itself on being very different." Calkins says much of Southwest's brand success comes from the fact that although its operations and corporate culture are idiosyncratic, those differences support the company's central function. "Southwest has a fun, energetic corporate culture that's unique in the airline industry, but at the core they are a very proficient operation that gets travelers from point to point in an efficient, affordable manner," he says. While the airline received low ratings for not sharing information on decision-making, those protective measures may be among the reasons it continues to thrive. Several of the big carriers have tried to follow Southwest's model with low-cost subsidiaries (think Delta's Song and United's Ted), but none have been able to maintain them. "You can see what [Southwest] does--they fly one kind of airplane, they don't charge for baggage and they have friendly employees--so you'd think someone could replicate that, but they can't," Calkins says. "The magic of Southwest is that even though the brand has many unique elements, all of the different pieces work together to serve its customers in a unique way." When mythic stories circulate about your company's awesome customer service, you know you're doing something right. That's the hallmark of this upscale department store, which is rumored to have once graciously accepted the return of a set of tires, even though the store has never sold tires. "Nordstrom is all about the power of delivering exceptional customer service that goes above and beyond a typical service experience," Northwestern's Calkins says. Nordstrom scored strongly among respondents for concern for the customer, as well as for the quality of the products in its nearly 230 stores. Attentive service--which includes a liberal return policy, e-mailing digital photos of new items to regular customers and sending thank-you notes after purchases--frees the Seattle-based retailer from having to focus on competitive pricing, which helps keeps profit margins higher. "They don't pretend to have the lowest prices, but they don't have to," Calkins says. "When people go there they know they may pay a little more, but the service is so good that it makes it worthwhile." Respondents criticized Nordstrom for not providing consumers with much information about its corporate decision-making policies, but Calkins contends that when building a brand identity, it's OK for your proposition to focus on one principal element, as long as you do it right. "What makes this brand tick is the service experience, not the approach," he says. "Nordstrom has never focused on its company or its people; all of that positive energy is directed at the customer and the retail experience, and it's the secret to their success." Cincinnati-based Paula Andruss has written for USA Today, Woman's Day and numerous marketing publications. About the survey:The Values Institute, which conducted the study, identified five values that influence trust in a brand: ability (company performance); concern (care for consumers, employees and community); connection (sharing consumers' values); consistency (dependability of products/services); and sincerity (openness and honesty). A total of 1,220 U.S. consumers were asked to rate each trust value on a five-point scale, from "very unimportant" to "very important." Additionally, five consumer perceptions were measured for each value; these included statements such as "They respond to feedback about their products and services," and "They value my business and reward me for the loyalty." Each respondent rated two randomly selected brands; those who felt strongly were also asked to provide individual comments. The result is the "Trust Index," a composite score that indicates the level of trust respondents had with each individual brand in relation to the other studied brands.